Most traditional marketers know that offering giveaways is a part of trade show culture, even though it is hard to measure the ROI. You realize that the value of giveaways cannot be measured in the dollars and cents, yet they have an important role to play getting people into your booth, getting them to talk about their needs, and building your brand so that people remember you after the show. 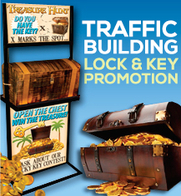 Simply put, tradeshow giveaways are a critical aspect of prospecting and something you should not take lightly. 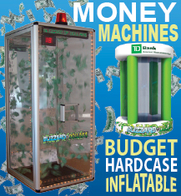 What Trade Show Giveaways Best Suit Your Purpose? It should be branded. The importance of customization cannot be stressed enough. 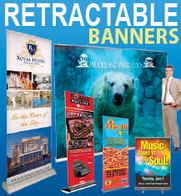 Opting not to spring for the imprinted logo, or even choosing a product with a poor imprint location, means that no matter how amazing or useful your giveaway is, no one will ever remember you. It should be cost-effective. Having good quality giveaways is important for prospecting, but stocking up on ample giveaways for the masses should not break the bank. It’s a delicate balance, and something you should give careful consideration to as you’re planning your trade show giveaways. It should be distinctive. Yes, you may want to have THE giveaway of the show – the one that everyone’s talking about. But the truth is, as long as it is relevant to your industry and most importantly, perceived as valuable and useful to visitors, it will still make the desired impact. Items like pens, key chains, and flash drives – while very popular – can still be crowd favorites when done tastefully. 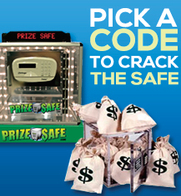 What type of giveaways can set the stage for people to do business with your company? The tried-and-true. While pens and key chains are often the entry-level giveaways at shows, they can still make an impact. 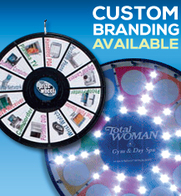 When personalized, they can meet your objective of affordability; but, to make them something that attendees take home and use requires choosing a unique style, paying a few cents more for higher quality, or choosing 4-color imprint over black or white. The appreciated show accessory. 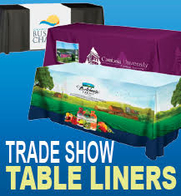 Trade show visitors away from home appreciate tote bags and small sundries such as reusable water bottles, lip balms, hand sanitizers, and touchscreen cleaning cloths – these types of items can be custom-printed and have lasting promotional value far beyond the show. The ever-welcome consumable. Bottled water or soft drinks, candy, snacks, and breath mints are a welcome sight to tired show goers. Any of these items address an immediate need that visitors have, while running the risk that brand identity will not outlast the item. 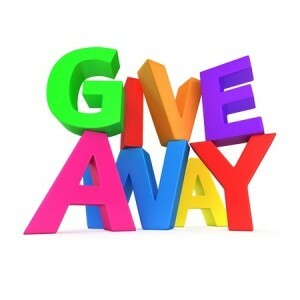 Consider them a true giveaway and not a marketing tool. The trendsetting choice. 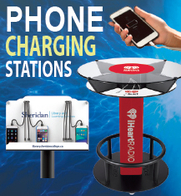 Wine, USB car chargers, and Card Ninja holders for credit cards that fit on the back of your phone are appealing and useful to the modern show goer, although a bit more expensive than some traditional giveaways. One consideration: while distributing alcoholic beverages has its liability issues, upping the ante on your giveaway could instantly put you ahead of the competition. The novelty selection. Stress balls, toys, balloons, and games can be a fun and colorful trade show giveaway, but many of these items have a short shelf life. While these are a perfectly acceptable giveaway for the masses, it’s not generally recommended that they be your only gift. 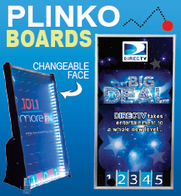 Consider novelty giveaways as a lower tier in your multi-level trade show promotion strategy. Any of these giveaways can meet the criteria of brandability, cost-effectiveness, and distinctiveness. 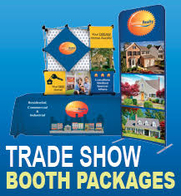 Selecting the right combination of trade show giveaways can increase foot traffic and interest, identify prospects, and set the stage for future sales.